Only 49 non-citizens signed up to vote in San Francisco’s school-board elections on Nov. 6, even as the city spent some $310,000 to attract such voters. At a cost of more than $6,300 per voter, the effort ended up “pretty much a bust the first time out,” the San Francisco Chronicle reported on Oct. 28. The measure to allow non-citizens, including illegal immigrants, to vote for school boards was introduced by five city supervisors on July 26, 2016, and was approved by more than 54 percent of voters in a Nov. 8, 2016, ballot. The idea was presented as a way for non-citizens to engage in decisions affecting their children in San Francisco schools. But it was criticized by conservatives as an attempt to get people used to the idea of non-citizens voting. The city’s Board of Education sets goals for what children should learn, approves curricula, confirms staff appointments, and manages a yearly budget of close to $900 million, which is separate from the city budget. Part of the reason why the measure to let non-citizens vote cost hundreds of thousands was because it required separate roster and ballots that only list the school-board contests. Moreover, the idea appears to have hinged on a presumption that Hillary Clinton was going to win the 2016 presidential election and would go easy on immigration-law enforcement. “Donald Trump’s election quickly put a damper on enthusiasm for the idea,” The Chronicle noted. 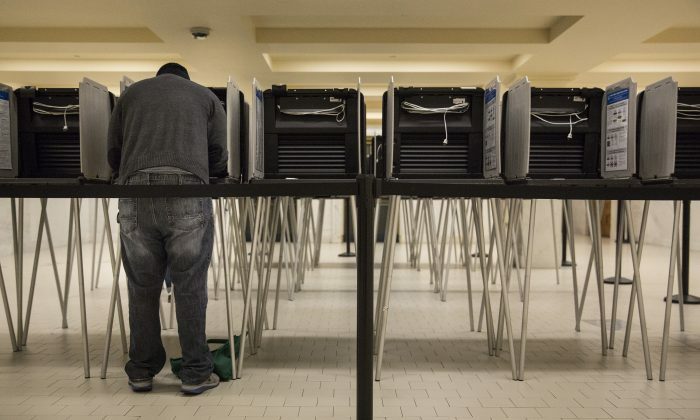 Some city supervisors realized that voter rolls can be subpoenaed by the federal government. Thus, the illegal immigrants registering to vote could be theoretically targeted by federal authorities for deportation. Supervisor Sandra Lee Fewer reacted by calling on the city to spend as much as another $500,000 to warn the city’s illegal immigrants that registering to vote could expose them to Immigration and Customs Enforcement action. Her proposal was scrapped by then-Mayor Mark Farrell, but the supervisors still passed an ordinance to require that each non-citizen registrant would be notified that his or her information could be eventually shared with immigration enforcement. San Francisco is the largest city to allow voting by non-citizens. There are at least six smaller towns in Maryland that allow non-citizens to cast ballots in local elections. Four towns in Massachusetts have called for the same, although the state legislature would have to approve, said Ron Hayduk, associate professor of political science at San Francisco State University, The Associated Press reported. According to estimates, at least 40,000 San Franciscans, or just over 4.5 percent of the city’s population, are in the country illegally.